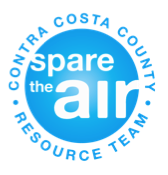 Take action and find out information on how your community is doing. Mouse over a city to see how they are doing. Click them to visit their local actions page. 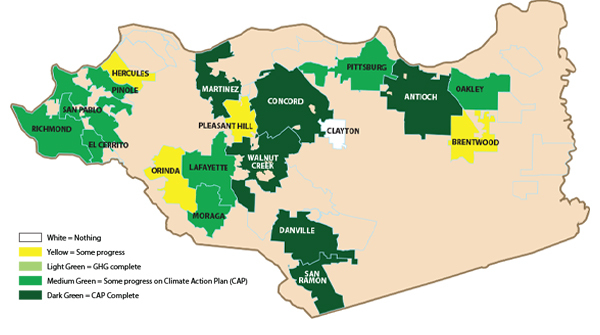 How do Contra Costa cities stack up regarding various environmental issues? Where do they succeed and where can improvements be made? How pedestrian-friendly are the various CCC cities? 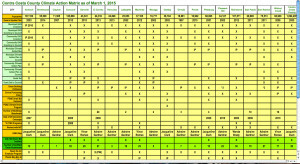 Click on picture for for an interactive table of local actions.